Most Arduino owners use their microcontroller to build simple DIY devices. But this powerful board is capable of so much more. With the Arduino Automatic Smart Plant Watering Kit 2.0, you can create an automated watering system for your garden. The kit provides a fun weekend project that doesn’t involve coding or soldering, with a genuinely useful end product. You can grab it now for $69 at the PopSci Shop. The whole point of using an Arduino is to experiment. While it’s important to learn the basics, no-one wants to wade through an endless stream of pointless circuits. This watering kit makes learning about your Arduino truly exciting. It includes an Arduino Leonardo board, which has connectors built in. This means you don’t have to mess around with breadboards and fiddle with jumper leads. Likewise, the necessary code is provided for you. All you have to do is hook up the hardware and upload the software. Once you have completed these tasks, the auto-watering device will take care of your houseplants. Four sensors keep an eye on soil moisture, and the device dishes out water when necessary. 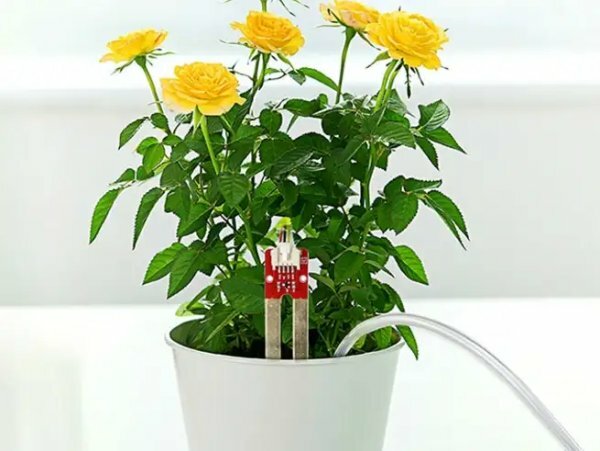 Source: Arduino plant watering kit lets you automate your garden!